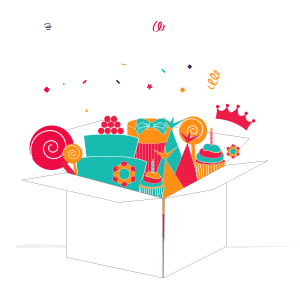 Have you ever wondered what the biggest pass the parcel ever recorded is, or perhaps the most people singing Happy Birthday standing on one leg? Here’s our round up of the best birthday inspired world records, you wont believe your eyes! The world’s biggest ever pass the parcel measured 2.09m (6ft 10in) in height and 251m (8ft 3in) in width. The record breaking attempt took place at The Oval and was organized by Royal London (UK). I wonder how long it took to play the game! When 5 gorillas were born at the same zoo in the Netherlands, the group ‘Stitching Apenhaul’ decided to celebrate. 228 people all born on July 4th gathered at Apeldoorn in the Netherlands and a great time was had by all. With Princess parties so popular I thought it was only right to include this one. With the launch of the film Maleficent, Empire cinemas teamed up with Disney to raise money for The Little Princess Trust who help to provide real hair wigs to young cancer sufferers. 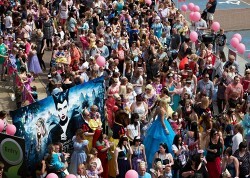 A total of 315 would be princesses attended this most glamourous of world record attempts. 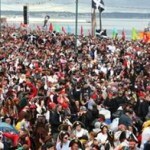 The world’s biggest gathering of Pirates was even more impressive with 14,231 Pirates gathering in Hastings in July last year. 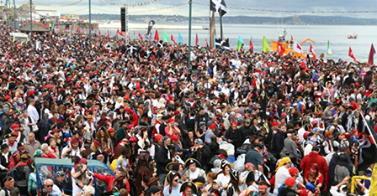 If your looking for a world record spectacle this one really takes the cake! The Centennial in Las Vegas was the host for the world record and it took place on May 15th 2005. It took more than 14 hours and 1000 volunteers to constructs the 130,000 pound cake. The cake was 102 feet long, 52 feet wide and 20 inches high and was made to celebrate the city’s own 100th birthday! When Robert Downey Jr attended the premier for Iron Man 3 he had cause for celebration. He was presented with a birthday card with signatures from 5,339 fans. The red carpet event took place in The Forbidden City in Beijing, China. 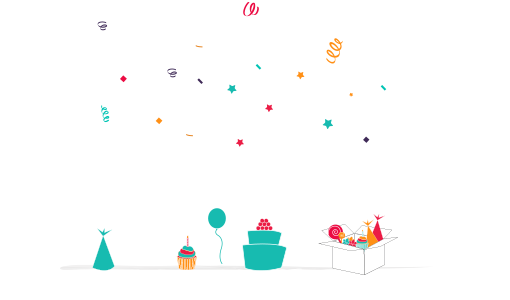 Finally there are a myriad of world records surrounding the singing of ‘Happy Birthday’; from the most people whistling the song whilst making ‘armpit farts’ to the most people singing ‘Happy Birthday’ with their ear to their nose! My favourite of these weird and wonderful records has got to be the largest number of people singing Happy Birthday whilst standing on one leg. Rob Rouche led 510 people from Count Revolution to sing it to their ‘friend’. Watch their attempt here. Obviously these records may be broken at any time and we will try and update you of any special Birthday records in the future.